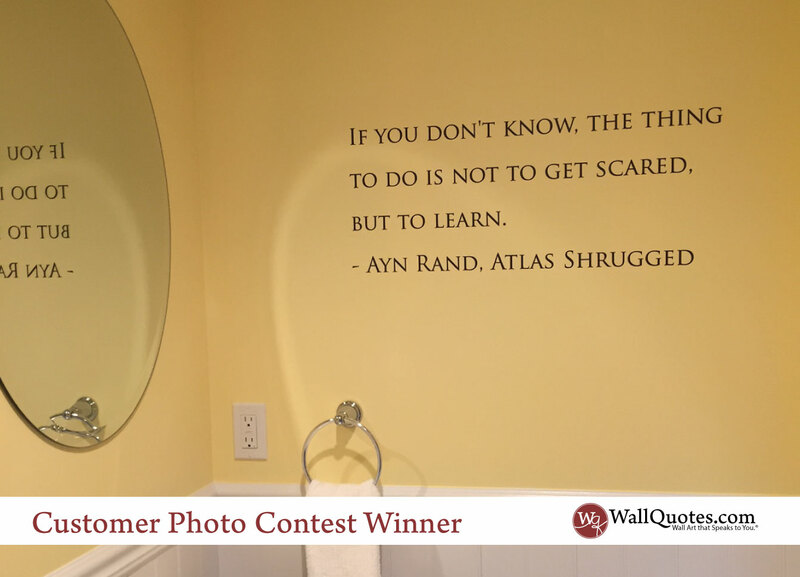 Christina sent us a picture of her custom Wall Quotes™ Decal from her bathroom. She says: "I love my wall quote! Instantly livened up a dull bathroom." You are so right Christina! It looks great.